After graduating as physiotherapist in Rotterdam in 2008 she started working at FysioFysiek in Amsterdam. Situated in the Sports centre of the Vrij Universiteit Amsterdam, she works mainly with VU students and employees, but also many pre or post orthopedic clients and athletes. In 2009 she started two 4 year master programs at Avans+ and NPI in Sports and Pediatric Physical Therapy. With this combination of master degree’s her goal is to work with children in a sporty environment where sports will help children to develop and grow. Born in 1987, Katie Steenman is a young photographer living in Amsterdam. She raced at the international level as a rower for the Netherlands. Always a camera in the hand on the rowing course, she turned this passion of photography into a profession in 2009. Katie is challenged by usage of the light, searching for the ideal angle and the adequate background. 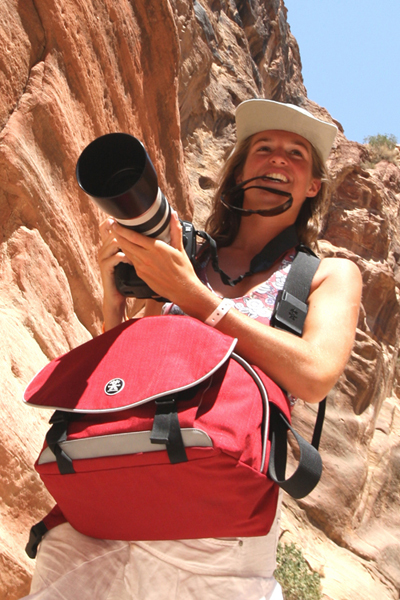 She is extending her photography to different sports and other subjects. Katie Steenman started rowing in 1996 at RV Breda. She enjoyed the sport and the atmosphere around races. After some regional racing she stepped up to national and international level. Compeating at the World Junior Rowing Championships for the first time at 16 years of age. She raced at 3 World Junior Rowing Championships, 3 World Under 23 Rowing Championships and 1 World Cup. With a Bronze at the U-23 as her best result. After some physical hickups she is now trying to get back to international level still having an Olympic Ambition.